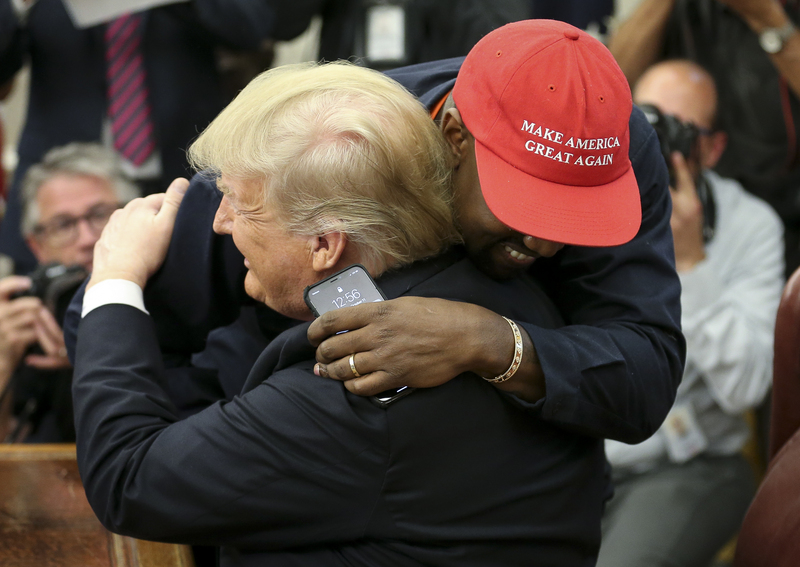 Musician Kanye West became so overcome with emotion Thursday that he got up from his chair at the Resolute desk and embraced President Donald Trump in the Oval Office. 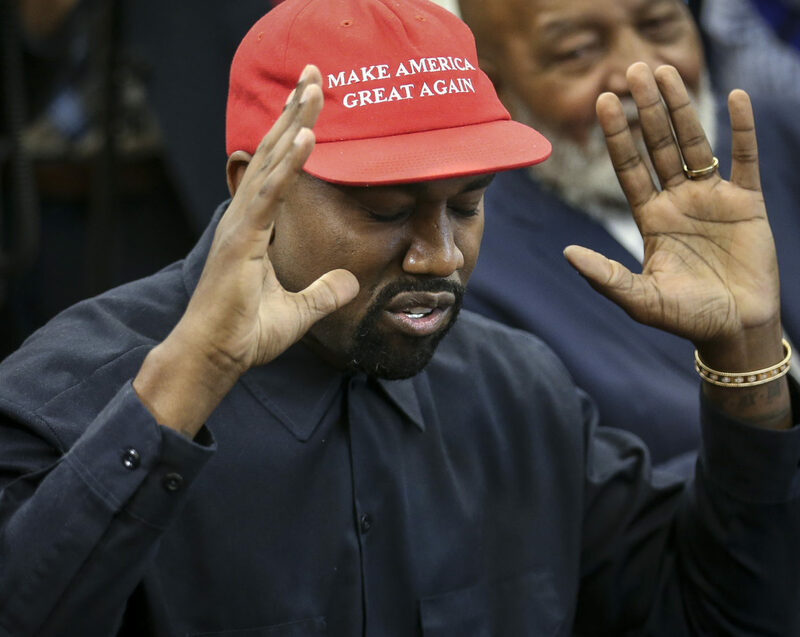 West delivered a nearly 10 minute long speech lavishing praise on Trump, expounding on the virtues of building products in the U.S., bashing American companies which manufacture in China, and telling the president he feels superpowers when puts on a “Make America Great Again” hat. West defended his support of Trump during the meeting, saying he wouldn’t buckle to pressure from the Black community.